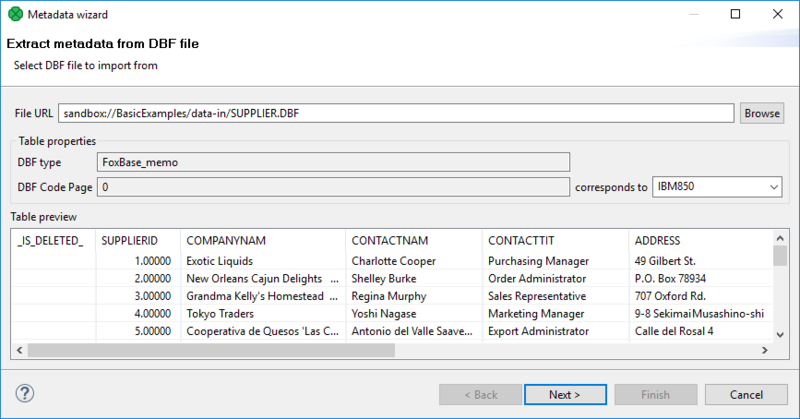 When you want to extract metadata from a DBase file, you must select the Extract from DBF file option. DBF type, DBF Code Page will be selected automatically. If they do not correspond to what you want, change their values. When you click Next, the Metadata Editor with extracted metadata will open. You can keep the default metadata values and types and click Finish.